Have you ever tried freezing small cubes of watermelon? It is awesome. They are like mini Otter Pop bites, but healthier. We love them! Well when you blend the frozen watermelon cubes with lemon juice something even more wonderful happens. I call it Lemelon Ice. The first time I made this I actually blended two cups of watermelon cubes with the juice of one whole lime, and a little water to get it moving in the blender. I loved the results, and thought it tasted just like watermelon Sour Patch kids. I made it again today, using organic lemonade from Costco instead (I didn’t have a lime in the house – sad.). This made a really great frozen watermelon lemonade, which is not nearly as sour, and I felt like more people would like the lemonade version. If you like sour things though, I definitely recommend using the lime juice! YUM! 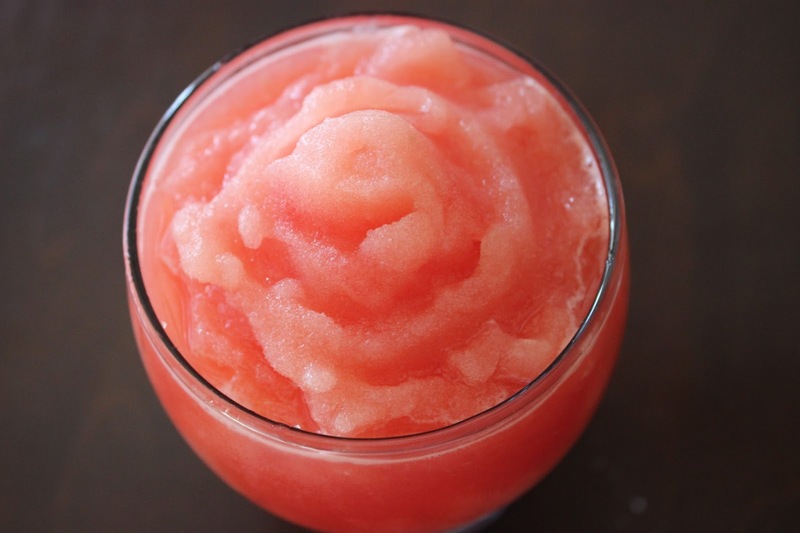 Blend the watermelon and lemonade together until smooth. You may need to shake the blender a bit to keep it blending, and to maintain the thickness of the frozen lemonade.